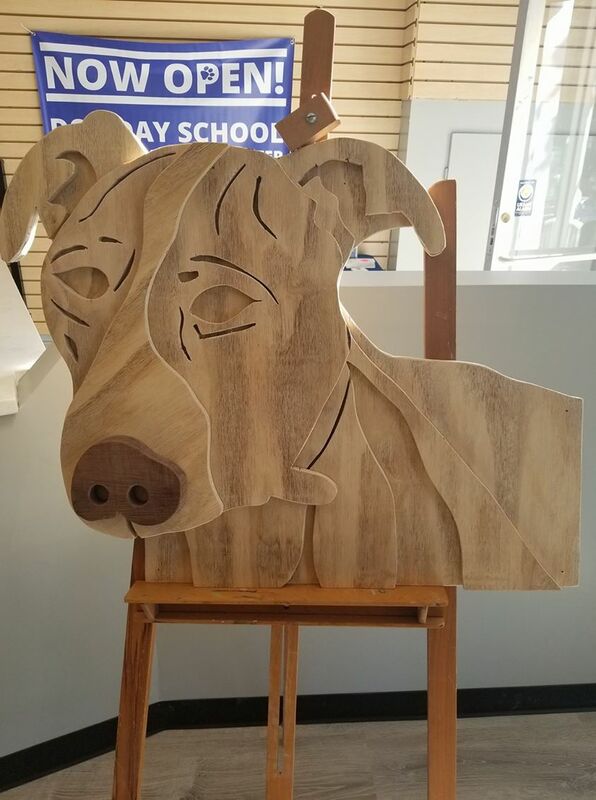 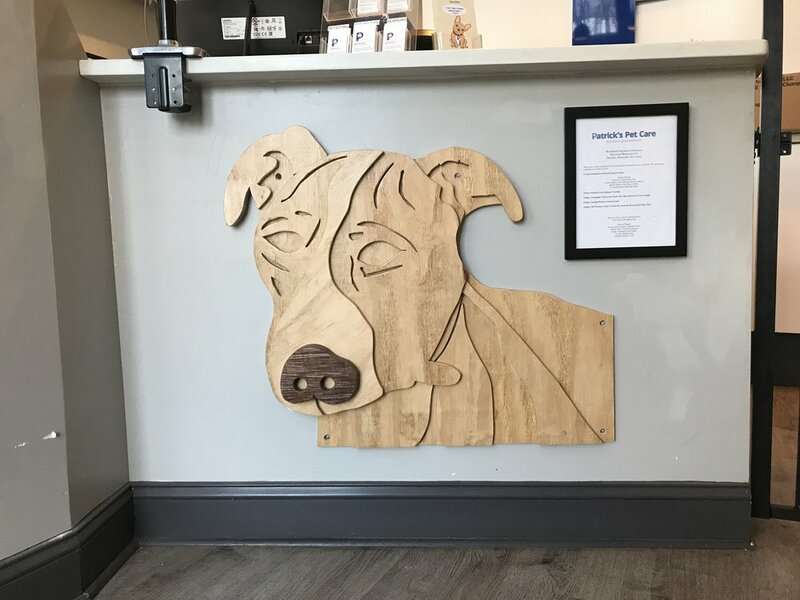 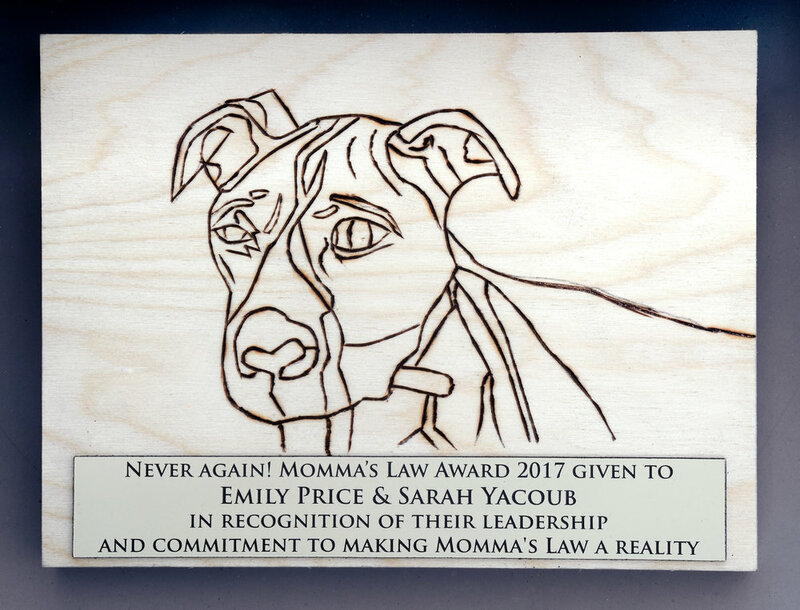 Charles Bergen created a layered wooden wall sculpture of Momma, the pit bull, for Patrick’s Petcare in Washington, DC. 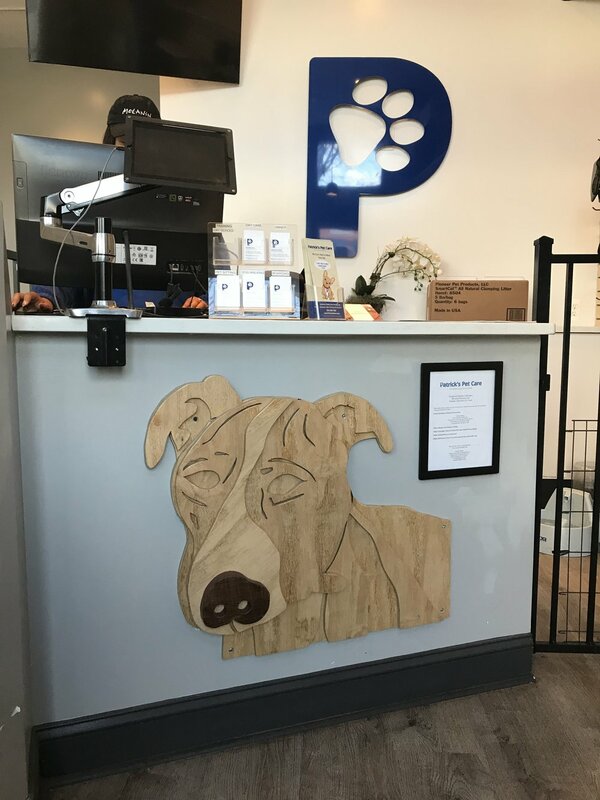 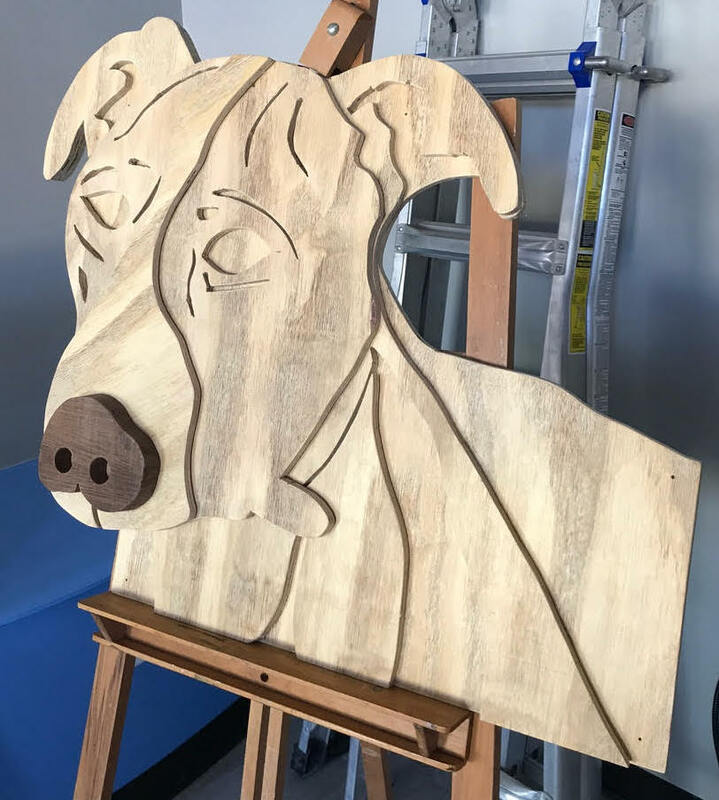 Made of Southern Yellow Pine plywood with American Walnut for the nose, the three-dimensional, larger than life, wall sculpture greets visitors as they come into the space to pick up or drop off their pooches. 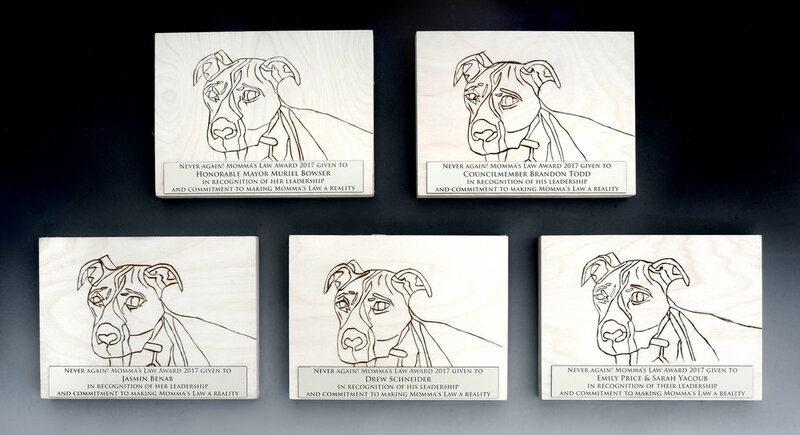 DIMENSIONS: Sculpture: 30” x 30” x 3” , Plaques: 6” x 8" x 3/4"